So I hatched a shiny Scatterbug (and yes the egg was received on my own game file). I wanted a shiny Polar Vivillon, and I live in Michigan so it should have evolved into polar pattern, right? But it didn't. It evolved into the Modern pattern (the red one). I even double checked and my 3DS region is indeed Michigan as it should be. Did the pattern locations change in between XY and ORAS? If not,I have no idea why my shiny Scatterbug didn't evolve into polar Vivillon. EDIT: The only other possibility is that I think I found out that my region wasn't Michigan and changed it a while ago, but I'm not sure. Sorta like Wurmple, Scatterbug has a different Code (3rd longest code in the game, tied with spewpa) and it's all about the region it was caught in. If you obtained the Scatterbug while your region wasn't Michigan then it won't be polar. That's all I know on the matter, maybe it will help someone giving the answer? It might not have been Michigan? Also ORAS should have the same Vivillion patterns as XY. >"EDIT: The only other possibility is that I think I found out that my region wasn't Michigan and changed it a while ago, but I'm not sure." Is the most likely (and probably only) explanation. If your 3DS wasn't set to Michigan when you start your game, then the Scatterbug you catch in your game will not be from Michigan, but rather of the region you had set it as. 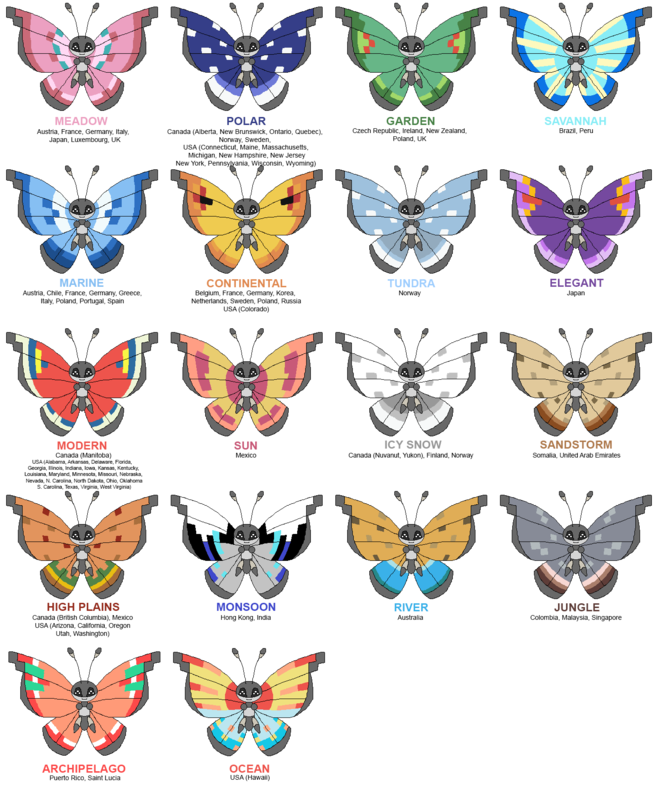 Changing the region later does not count, so you're stuck with the Modern Vivillon now. The solution to this though, is that you restart the game with the 3DS location set as Michigan. Then you would be sure to receive a Polar Vivillon. Fancy Pattern Vivillon Nature problem? What does my region on my ds have to be to get Polar, Savanna, and Tundra Vivillions?